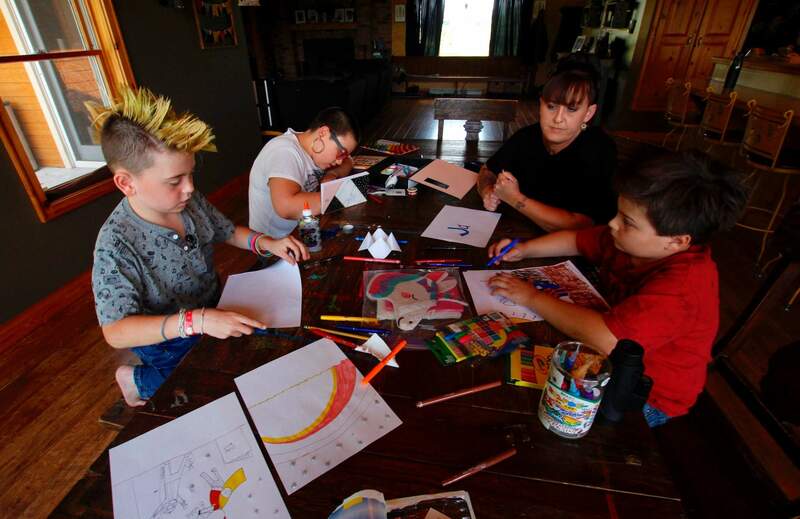 From left, Cash Miller, his sister Kaya Miller, their mother Angie Miller and their brother Jax Miller work on artwork at their kitchen table in Hartford, Wis. Angie Miller bought them some of the hot items in the back to school aisle this year, including glitter glue, scented pencils, special erasable pens, a bullet journal and decorative tape. A display of back to school backpacks in a Staples store in Pittsburgh. 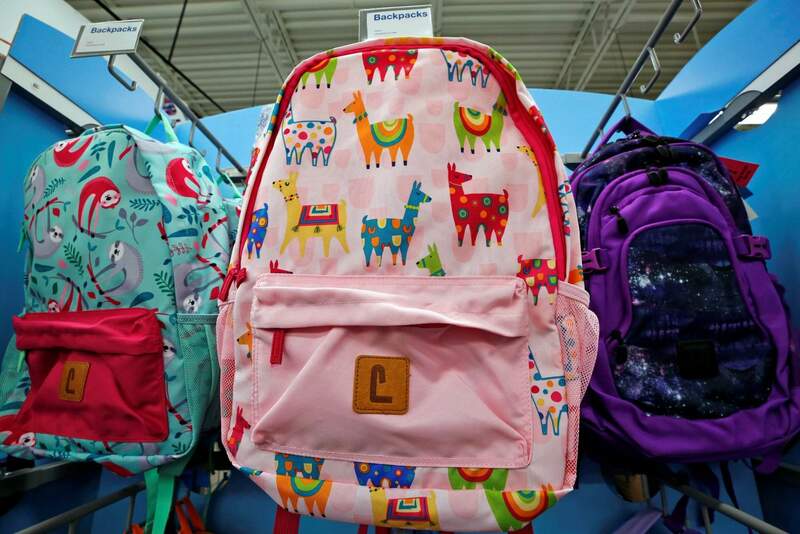 Llamas are in demand for decoration on backpacks and other school supplies this year. A display of sparkle Elmer’s glue in a Walmart in Pittsburgh. 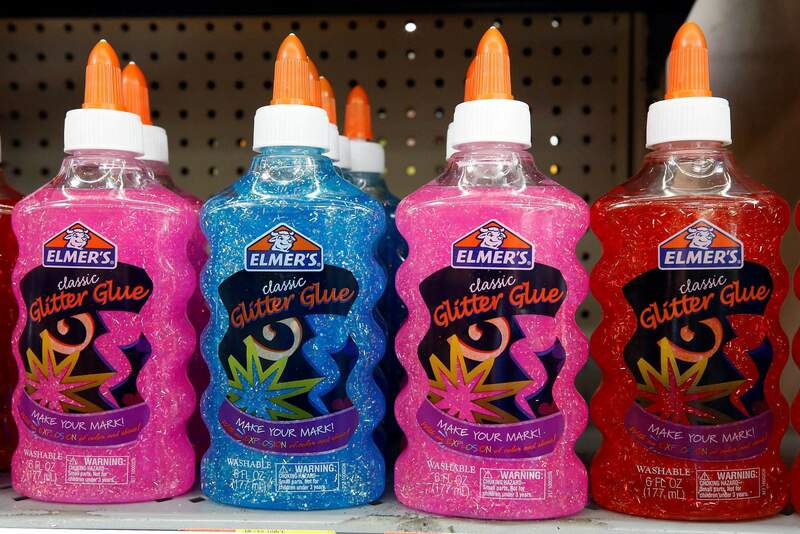 Elmer’s has been expanding beyond its famous white school glue to purple, pink and blue glitter glue and even a slime starter kit. A display of scented markers and crayons in a Staples in Pittsburgh. Scented pencils and markers are among the hot items in the school supplies aisle this year. 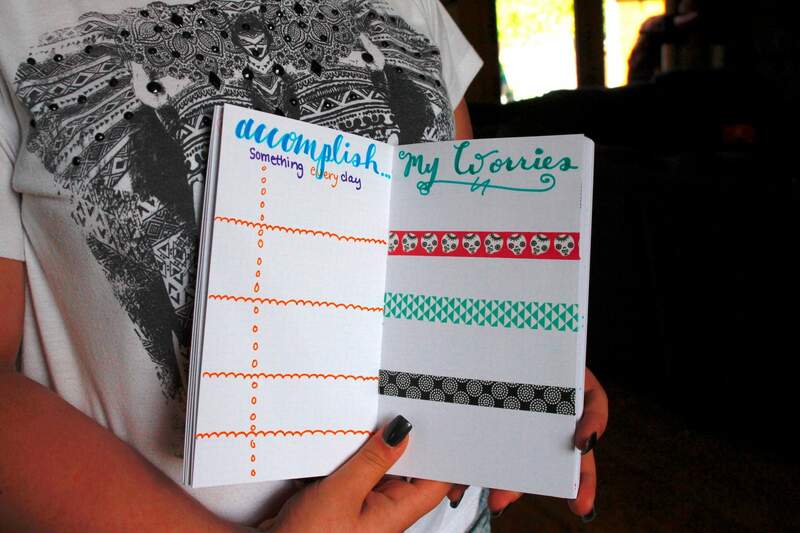 Kaya Miller holds up some of her work in a bullet journal, including use of wash tape, in Hartford, Wis. The bullet journal and wash tape are two of the hot items in the school supplies aisle this year. 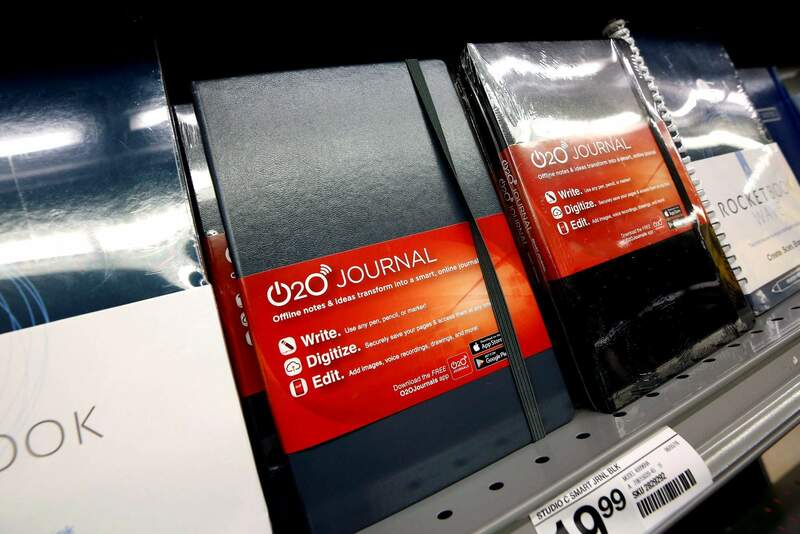 A display of Rocketbooks Wave notebook and online journals in a Staples store in Pittsburgh. The Rocketbook Wave notebook runs about $25 works like a traditional pen and paper version. But when pages are full, you can scan them with the app and send the contents to the cloud. NEW YORK – The microwave ate my homework? Reusable notebooks where writing disappears with heat are among the basic school supplies raising their game against gadgets like iPads. NEW KINDS OF NOTEBOOKS AND PENS: The Rocketbook Wave notebook that runs about $25 works like a traditional pen and paper version. But when pages are full, you can scan them with the app and send the contents to the cloud. If you used the Pilot FriXion pen, you can erase the notes by heating it in the microwave, and then reuse it. Using only the Pilot FriXion pen works in a similar way. You can make corrections on a page by heating the ink in the microwave or by rubbing the eraser tip to cause friction. Put it in the freezer and the ink will reappear.Bullet journals that adults have adopted over the past few years are making their way to the back-to-school aisles. The notebooks become a mix between a diary, a wish list and a to-do list, and can help keep track of homework, school projects and school events. Events can be marked by an “O’’ bullet, while tasks can be a dot. DECORATIVE TAPE: Adhesive tape including Japanese paper called washi has been growing in popularity, and the trend has moved into school supplies. 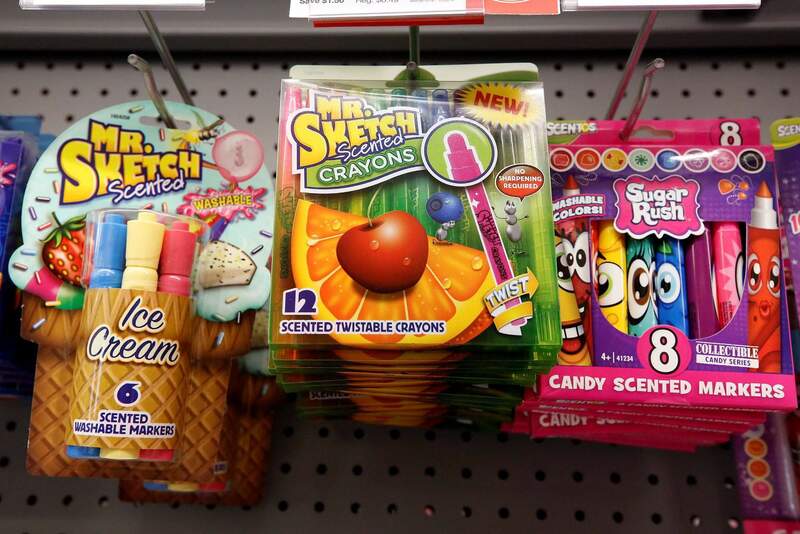 Kids are using the tape to decorate their notebooks, pens and pencils and other items, says Kaleigh Sands, a Staples spokeswoman.“It’s customizable,” Sands said, noting that kids want to personalize their own items. SCENTS AND COLORS: Elmer’s has been expanding beyond its famous white school glue to purple, pink and blue glitter glue and even a slime starter kit. Retailers are also widening their arrays of scented pencils. Walmart has added such smells as bacon, grass, onion, mud and pickle. Target’s scented pencils feature such smells as cola and jelly doughnut.LLAMAS VS. UNICORNS: Rainbow unicorns are seeing a bit of competition. Llamas are in demand for decoration on backpacks and other school supplies. Dayna Isom Johnson, a trend expert at Etsy, said the search results for unicorns have more than doubled in the first six months of this year compared to the same period last year. They’re still way ahead, but the interest is llamas is growing – search results for them more than tripled in that same time frame.“It might be time for something new to come along,” Johnson added.